Rotaviruses are classified in the genus Rotavirus and belong to family of Reoviridae, that is a family of viruses that can affect the gastrointestinal system. Reoviridae have genomes consisting of segmented, double-stranded RNA (dsRNA).This study aimed to investigate the prevalence of Rotavirus (RV) among children with acute diarrhea. One hundred and fifty pediatric patients suffering from clinical manifestation of diarrhea, fever, and vomiting were enrolled in this study. All patients underwent ELISA test for stool VP6 protein detection and real time PCR test for VP6 and NSP4 genes detection. Results showed that the frequency rate of Rotavirus infection was 33.3% by ELISA technique. The molecular techniques showed a positivity, of 33.3% for VP6 gene and 34% for NSP4 gene. 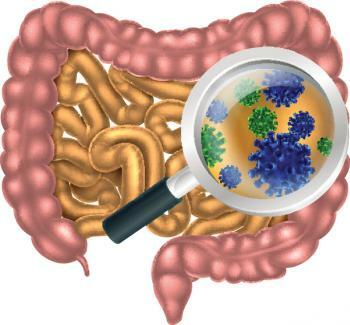 The ELISA assay represented the more sensitive test in detection of Rotavirus related diarrhea in stool specimens. The results revealed that males tend to be more effected by RV than females and the bottle feeding children were more susceptible to virus infection, comparing to other feeding type. The infection rate had increased with decreasing the age of the children.